It's easy to forget that life exists outside of a big city. I love getting out for a bit of quiet - sure, at some point I'll miss proper coffee and the type of people watching only Ponsonby provides, but for a little while, quiet is good. A couple of weeks ago I headed to Taupo for some camping goodness. The weather was choice, I became mini golf champion of the world and, despite a nutter of a neighbour that I nicknames Doris, tenting wasn't all that bad. Check out that sunrise. Doris woke me up at 4am with some casual pre-dawn yelling so I escaped off round the north side of the lake to try and catch the sunrise. Everything was ice, including my hands. I spent a little too long working up the courage to get out of my sleeping bag and ended up sprinting through the bush with my tripod over one shoulder and camera over the other to make sure I didn't miss it. On my way back I took a look at the track which was pretty steep and gnarly and still have no idea how I didn't break something. Luck was on my side and after gaining back the feeling in my fingers, I got the above shot through a baby kowhai tree. There's nothing like being up before everyone else, so I sat around on the little dock I'd set my tripod up on for a little while and then made my way back up the death track in search of warmth and some coffee. These were my favourite neighbours. Whilst Doris wouldn't shut up, these two snuck around taking food out of people's hands. I dubbed them Jemima and Steve and they're alright by me. In contrast to Taupo's nighttime low of a chilli 1*C, the days were steaming. I always get weirdly nostalgic over the smell of the inside of a tent on a hot day. 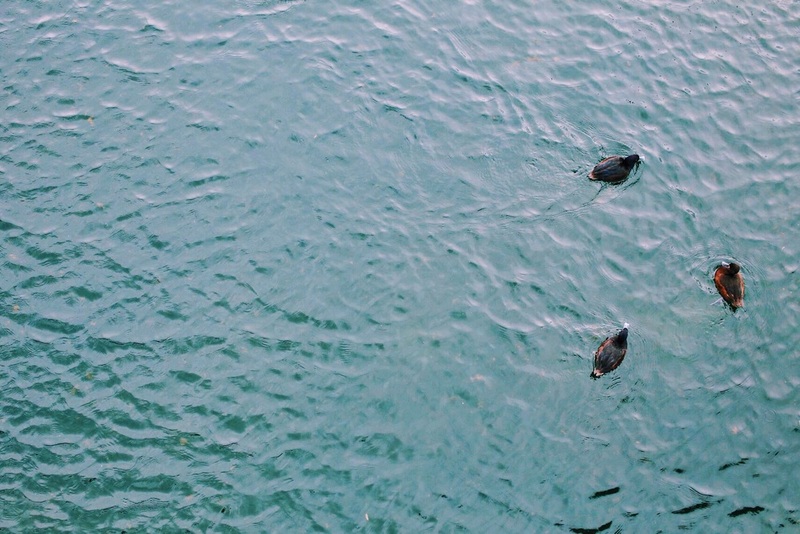 More ducks, this time an aerial shot from the marina bridge at Kinloch. Probably should calm down on the duck shots. Definitely excited for more photography adventures this holiday season. More of this summer stuff plz.